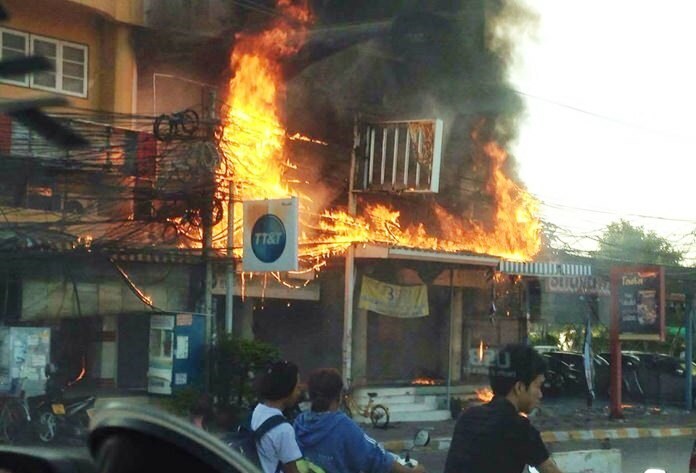 Fire destroyed the offices of internet service provider 3BB, knocking out online service for Pattaya-area customers for several hours. Crews from six fire trucks took about an hour to control the blaze that destroyed the offices of internet service provider 3BB. Crews from six fire trucks took about an hour to control the Dec. 22 blaze at the four-story, seven-shophouse structure on Soi Khao Noi. No one was injured. Results of a preliminary investigation pointed to an electrical short inside the building as the cause of the fire.